Let’s tip things off with two of the most notorious issues in modern basketball games, often cited as sucking the fun out of the experience. We’ll begin with grinding. It’s an issue that can affect collecting cards in Ultimate Team and MyTEAM, but it’s a far more prominent problem in career modes, particularly MyCAREER. The issue is that it takes a lot of work to get your player to a level where it’s actually fun to play with them, meaning it’s a grind for the game to become enjoyable. In any game where the player character levels up and increases their skills, the rate of progression needs to feel smooth and enjoyable. Unfortunately, that often isn’t the case these days. 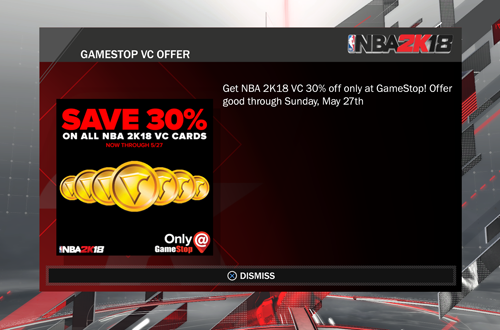 The alternative to grinding in MyCAREER is to pay for Virtual Currency in order to accelerate the process of increasing your ratings. While this is a great source of what 2K describes as “recurrent revenue”, it’s a sore point among basketball gamers. For that matter, pay-to-win mechanics are often considered the scourge of modern video games in general. A lot of people will make the argument that you don’t actually have to spend money on microtransactions, so don’t do so if you don’t want to. While that’s technically true, the people who are willing to spend money are the ones that set the competitive balance online. That isn’t a whole lot of fun for everyone else. Even though our modding community is still going strong and doing some great work, there are some things that we used to do that we currently cannot, or at the very least, it’s now tougher to accomplish them. 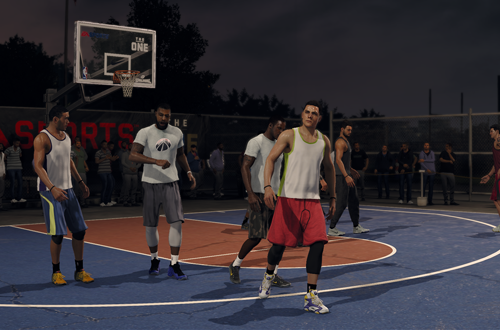 Modding NBA 2K has never been quite as easy as it was with NBA Live, but it’s only become tougher and more limited with the current generation. The difficulty in creating some of the comprehensive mods we had on the previous generation has turned people off the hobby, not only standing in the way of the fun we had tinkering with the games, but also playing with tremendous total conversion mods like the recently revitalised Ultimate Base Roster. As such, it’s no surprise that there are still people modding prior gen games such as NBA 2K14, or even much older PC releases of NBA Live. There’s always going to be interest in retro modding, just as people have a fondness for retro gaming, but it is a shame that we don’t have the tools and ease of modding we once did. 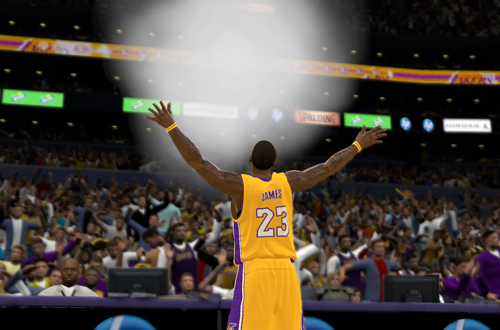 Of course, I do have to give credit to folks like TGsoGood for creating some excellent resources for modding the latest NBA 2K games. Sadly, the hobby isn’t quite as accessible as it once was though, and it’s something that has made basketball games a little less fun, at least within our community. Hopefully, further developments will change that. I discussed the perils of online connectivity and always-on requirements in regards to basketball games in one of my first Monday Tip-Off features. While the connected experiences have added fun new dimensions to basketball gaming, they’ve also been quite limiting. Although we can create multiple players in MyCAREER with different positions and physical attributes, they must all have the same name and face. 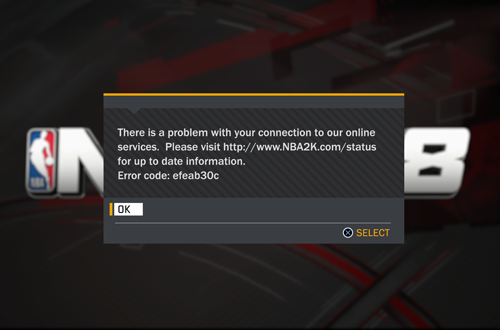 If you begin a MyCAREER game with online connectivity, you’ll always need to be online to play it; otherwise, you’ll lose functionality that you can’t get back. In the case of NBA 2K14, when the servers were shut down, gamers simply lost their save files. Incidentally, if you want to play without an active Internet connection, you’ll find that you’re locked out of quite a few modes and features these days. 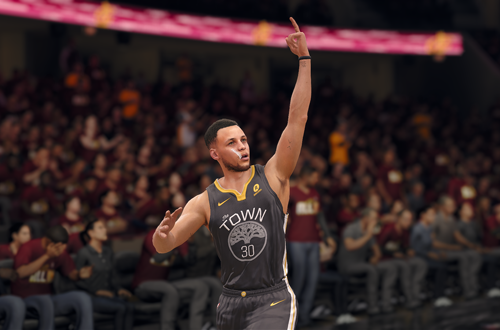 If you’re modding the PC version of NBA 2K, you’ll have to be careful with some of the tools, as they can result in your account being flagged for cheating. NBA Live 18’s menus are rather slow at times, which is the result of the amount of online content that’s being checked and downloaded. Online modes and features have added a lot of fun to basketball gaming, but their functionality and requirements have likewise resulted in a handful of limitations that have ultimately detracted from the experience as well. This is going to sound strange because it’s what we’ve (supposedly) always wanted out of basketball sims, but for some gamers, the amount of realism in modern games can be off-putting. There’s a reason a lot of people like to go back and play older games, and it’s not just nostalgia. They genuinely prefer the simpler take on the sport, with what now feels like a much more casual approach to realism. At the time of course, many of those games were cutting edge in terms of realistically depicting the NBA, and only now seem primitive in comparison. Nevertheless, it’s a style of gameplay that some people find more fun than the increased realism of newer games. There’s nothing wrong with having that preference of course, and it’s the reason that a contingent of basketball gamers are still interested in modding older releases. There are also gamers who would prefer a style in between the old games and more recent releases, feeling that approach would be the most fun. As I’ve discussed before, the increase in realism in basketball games has led to a few issues that many of us maybe didn’t count on. It’s probably fair to say that some gamers weren’t as keen on seeing more realism as they thought they were, especially when they can’t get away with “video game strategies”. For them, modern games don’t feel as fun as older ones. Because everyone believes that the way they play basketball games is not only the most fun approach but also the only correct one, there’s something of a civil war between online and offline gamers. The issue extends beyond a self-righteous war of words however, as modern basketball games aim to please everyone. Even though it’s the same sport and the same game, online and offline play are quite different, with their own styles and expectations from gamers. It’s difficult for developers to focus on one without neglecting the other, since tuning the game for offline play can adversely affect the online experience, and vice versa. This leads to a lack of balance. Trying to strike the right balance for optimal offline and online play is not an easy feat, but that is the challenge developers are currently facing. There have been some mixed results so far, and both contingents of basketball gamers have been left feeling disappointed at one time or another; sometimes, both at once. It spoils the fun when a game intended for basketball enthusiasts doesn’t feel like it caters to us at all, because there are two groups within the demographic that want vastly different experiences. Tweaks and hotfixes can often make or break the gameplay through the course of a game’s support cycle, too. In short, it’s not as simple as it used to be. Are there any other ways that you feel basketball games aren’t as fun as they used to be? Alternatively, do you feel that today’s games aren’t any less fun than older titles? Have your say in the comments section below, and as always, feel free to take the discussion to the NLSC Forum! That’s all for this week, so thanks for checking in, have a great weekend, and please join me again next Friday for another Five.